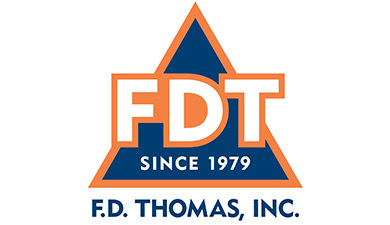 At FD Thomas we hire amazing professionals with “can do” attitudes and train them to work to FDT standards. We consistently exceed expectations by providing service, safety and quality without surprises. Our goal is to create a workplace where the employees stay for a lifetime of ever-expanding expertise and customer return again and again for the performance and value they’ve come to rely on. Hire our trained, professional and dependable painting, coatings and wall covering contractors.